I have come to a realisation recently... I am a massive foodie! Nothing fills me with more joy than going out for dinner. I am obsessed with finding cool, new places to try out and I think restaurants should be like countries- there are so many to visit, why would you go to the same place twice? I think a big part of it was moving to London and realising the huge gastronomic opportunities here. You could literally eat out somewhere new every night for 5 years and still not visit all the restaurants you want to visit. From being quite a fussy eater as a child, I will now try anything and I love all different types of food and just want to try as much as possible! This brings me to the reason of my ramblings. I have decided to set up a new blogger series on my blog: The Foodies Series. Every month I am going to bring you 3 new restaurants/bars/pop ups that I have recently visited and do a mini review on each. I am obsessed with finding new places to go and these are my favourite type of blogs to read... to be honest I wish I could be a food blogger but I just don't have the patience to take loads of professional photos of the food... all I want to do is eat it! So, without further ado, let’s begin. To kick off my series I am going to give you my all-time Top 3 restaurant in London. Now, this was a very hard task and I ummed and ahhhed over which to pick for a while! These are by no means the poshest or most expensive, they are just cool places with great food and a great atmosphere. Hot Box is a fairly new restaurant which only opened a couple of months ago in Shoreditch (again). It is the perfect place for a foodie or anyone who appreciates food and meat! 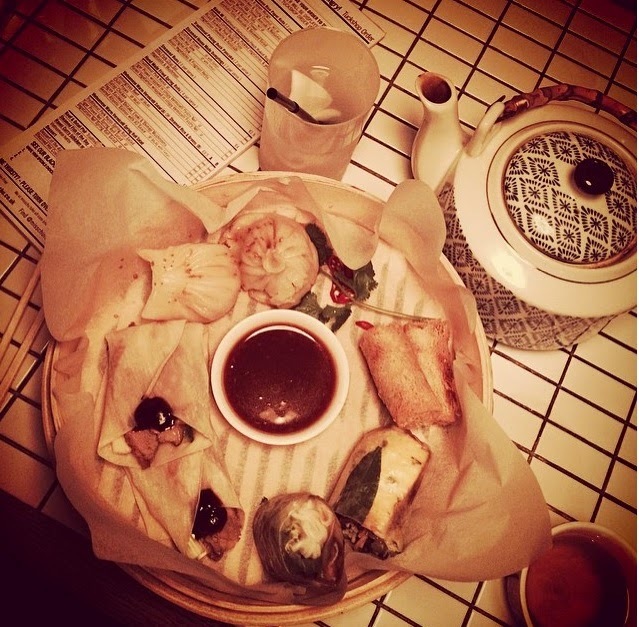 The dishes are incredible- looks-wise and taste-wise. 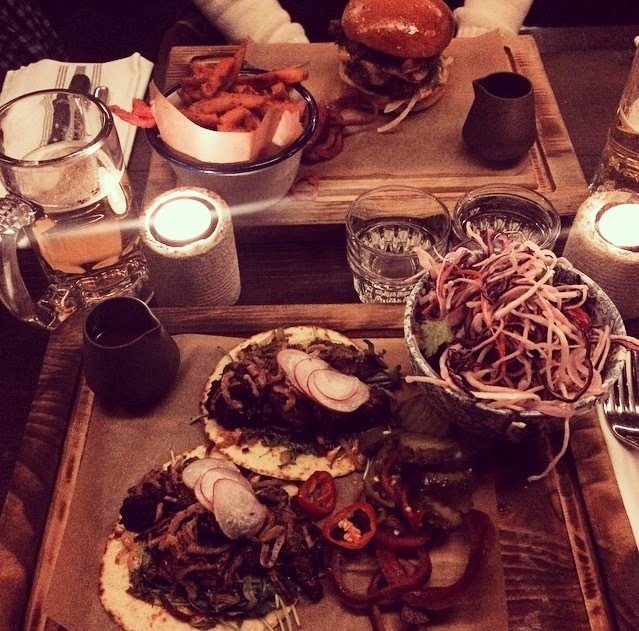 The menu is very meat orientated with beautiful slow-cooked meats which fall off the bone and melt in your mouth. Again, they have a sort of selection plate which is amazing to try a few different things and will definitely be a struggle to finish. The service here is second to none- all the staff are super friendly and attentive despite the busy fast-paced nature. We had to wait about 20 minutes for our pudding, which really isn't long, and the manager came over and apologised and said the dessert will be on the house! We didn't even realise it had been that long! Talking of desserts... it was deep fried Oreos...need I say more? Ahh my beloved Brew! Brew is an all-day and all-night eatery, however I have only ever been for Brunch. It is owned by an Australian guy and this very much comes through in the food, service and atmosphere of the café-come-restaurant. It has a really laid-back, chilled out atmosphere with cosy beds next to open-fire pits and heaters and a huge pizza oven as you enter. The food is incredible. I have had the pancakes here which are some of the best I have tasted as well as my favourite- eggs royale. They also have some amazing juices! 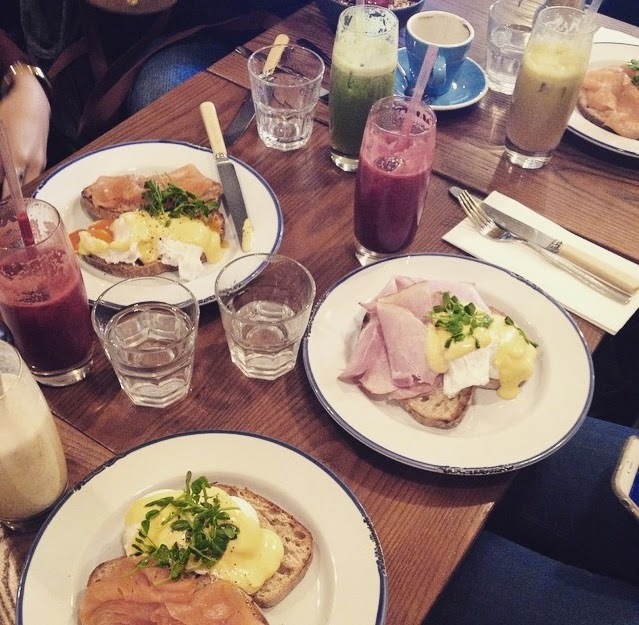 This is my absolute favourite brunch spot- the perfect ‘Sunday morning with the girl’s’ location or hangover cure. Plus- it is literally a five minute walk from my flat! win win! They also have movie nights where they screen classic movies which is firmly on my list of things to do! So those are my top three eateries of the moment. There are so many more amazing places that I have visited recently so it was very hard to choose just three, but I will be bringing you more recommendations next month. Stay tuned! Choosing a selected form of product to your carry is a wonderful means which will make a private story. chanel replica You can find luggage in a very wide-ranging variety of variations by way of example nylon, canvas, towel, pure natural leather along with suede. chanel replica sale A new created carry handbag using inventive images comments one's own report. Material cloths will certainly help a new artwork becoming a certain jump out! chanel replica sale Check out a new canvas towel which has a magnet video clasp if you need on an incredibly streamlined & hassle-free carry. A new completely removable sling band, along with increase manages, fake dior truly starts up your individual fashion ways for how we select for you to don versions individual carry handbag. fake louis vuitton Neck hand bags throughout true natural leather give the straightforward class on the nearly all laid-back apparel. Considering that will technologically advanced tactic, and then just purchase a a new neck carry handbag using stud best parts & archipelago url details.